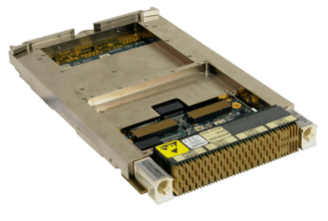 December 2014 – Concurrent Technologies is now shipping deployment quantities of the previously announced TR D2x/msd board in rugged conduction cooled variants. This 3U form factor board scores well in Size, Weight and Power (SWAP) comparisons with previous generation products due to its low power consumption combined with up to four-core processing capability. The rugged conduction cooled variants of the product will operate at temperatures between -40°C to +85°C at the card edge with no degradation in processor or graphics performance and have completed a range of environmental tests defined by VITA 47. “This is the second generation of rugged products that we have delivered into the market based on Intel®Atom™ technology. Over the last three years we have invested heavily to be able to provide our customers an enhanced level of application enabling software. 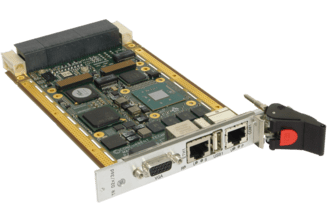 By manufacturing our board level products to IPC-A-610 Class 3 in our own facility we believe we are able to satisfy the demanding needs of customers in the defense space”.